Kohler brings smaller, lighter and eco-compliant to market. In the continuous quest to make marine components more efficient and environmentally friendly, Kohler Power Systems has updated its 40-99 kW diesel generators to be smaller, lighter and emissions compliant for today’s Tier 3 regulations. The new Kohler generators’ smaller footprint offers advantages for both OEMs and boat owners who are looking to repower. 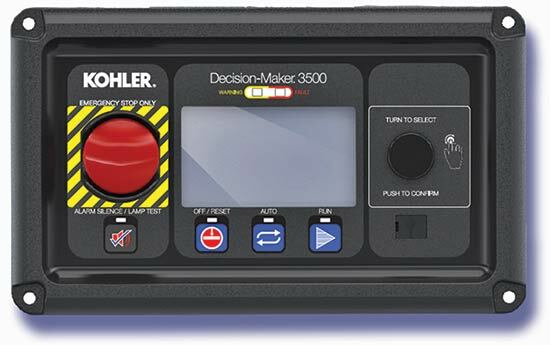 The new models also include a newly designed Kohler Decision-Maker 3500 (DEC 3500) controller equipped with paralleling software and load-management software allowing for automatic paralleling of two generators without the cost and extra footprint of switchgear. The Kohler DEC 3500 controller offers a newly designed customer interface for easier data entry and retrieval. It can be operated in one of three paralleling modes: P-gen (Kohler-patented), droop, or V-bias/S-bias, which is technical talk for the various ways of controlling voltage and frequency and is of more importance to a qualified marine service installer than an end user. Advanced paralleling features include bus sensing, first on logic and synchronization. Recreational boats under 40 feet may need a generator no larger than 3kW. 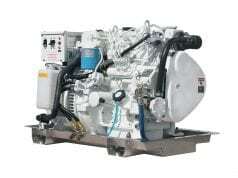 However, larger boats and yachts have generators of up to 99kW. Kohler’s marine generators are built to more rigorous standards than land-based generators due to the problems that moisture and corrosion can play in operation. Boat owners need to determine the total electrical load they need, because the generator likely won’t have to power all your onboard systems at once. 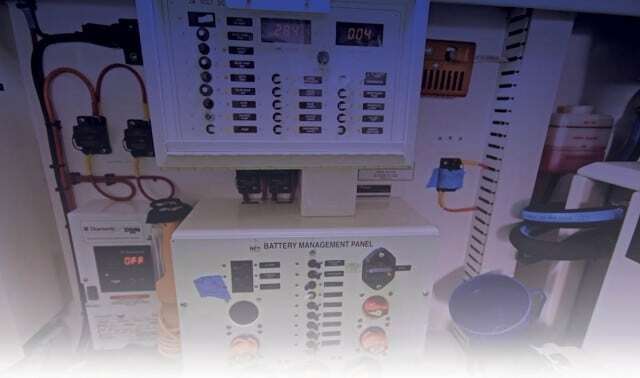 Your boat’s AC distribution panel will help you determine the amperage loads you are going to use with your generator. 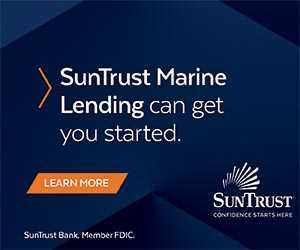 Add up all the loads you plan to use at one time, and buy a generator with at least 20 percent more continuous output capacity than your total power demand. The Kohler DEC 3500 controller offers a newly designed customer interface for easier data entry and retrieval. “It’s much better to run a 40kW generator with a 30kW load that’s going to give you optimum operation,” advises Formas. “As your boat gets bigger and power demand increases, the reason you buy a 99kW is that at some point in time you may need all 99kW. But it’s not a good idea to just go out and buy the biggest generator that will fit in your boat. 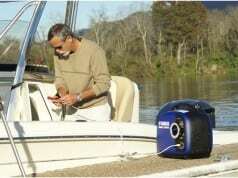 Two common mistakes boat owners make are buying a generator that’s too big for their power needs and improper installation. 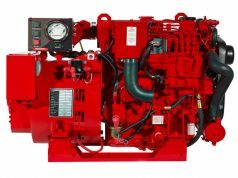 For long life a generator should run at 70 to 80 percent load when operating; at too low of an rpm the engine never comes up to the proper temperature, which can damage the engine. Stricter emissions regulations have made all diesel manufacturers focus on reducing exhaust pollution, and Kohler’s new generators feature a high-pressure common rail fuel system on Tier 3 emissions-compliant models offering optimum performance and fuel efficiency. Kohler uses John Deere powerplants for its 40-99 kW generators and has benefited from the improvements in diesel technology that John Deere has developed. “As people keep boats longer, the refit and repower of onboard generators has continued to be very important,” says Formas. “Our current models have a smaller footprint package size compared to older Kohler models. We’ve reduced length as much as 16 inches without the sound shield and 17 inches with the sound shield, and that’s going to make refits go smoother. 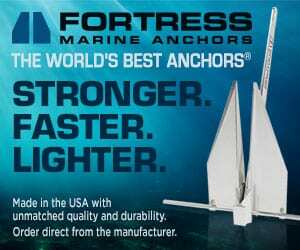 The ease of assembly is important for the end user because even though they aren’t installing it, it’s an easier job and can cost less for the marine service yard.” Improper installation, while rare, can cause problems. For example, at the dock installation may appear perfect, but when the boat is under power and coming up on plane and then back down, water could be blown in through the main exhaust and into the generator. Saltwater intrusion can ruin a generator. Kohler’s new generators are encased in combination of sound-deadening foams and rigid barriers to reduce noise. Access to the engine, alternator and other service points is simple as latched panels can be easily removed. Once the panels are set aside it’s easy to see the angled vibration mounts that each generator is set on.